Dr. James Chester is husband, father, Pastor, leader, and teacher. He is Senior Pastor of the Orthodox Zion Primitive Baptist Church, West Palm Beach, FL, where he has served for the last 29 years and is a Professor at South Florida Bible College, Deerfield Beach, FL. Under his leadership Orthodox Zion has experienced tremendous growth, both numerically and spiritually. He has worked to build a congregation that retains rather than just attracts. Outreach and Mission serve as guides for the entire church. Each ministry aims to reach the lost and disadvantaged in some way. Dr. Chester is also active in his denomination. He presently serves as President of the East Florida Church School Convention, President of the Florida State Church School Convention, and Vice-President of the National Church School Convention. He has taught classes on Pastoral Care and Church Administration at Palm Beach Atlantic University. Dr. Chester has taken seriously the charge of preparation. He received a Bachelor of Arts in Business Administration from Barry University in Miami, Florida. He also earned his Master of Divinity Degree and Doctor of Ministry Degree at Knox Theological Seminary. 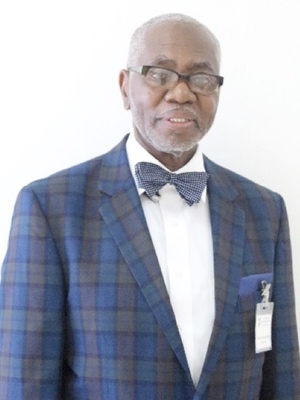 His dissertation was entitled, The Development, Training and Implementation of a Ministry to Assimilate Both New and Inactive Member to Become Effective Disciples of Christ. His work in assimilation has greatly influenced his life and vocation. He started Transformation Ministry International (TMI), a ministry that furthers training and education for local churches and abroad. He has developed mission relationships with ministries in India, Haiti and Africa. He and a team make a bi-annual mission trip to Jinja, Uganda where he has been very instrumental in establishing churches and a ministry school. The ministry school has also partnered with South Florida Bible College in its online curriculum Dr. Chester has been a consecutive lecturer at the F. L. Livingston Institute at the National Convention Winter Board and is a frequent lecturer at churches across the state.